Researchers at the University of Adelaide have found that reductions in the flow of water out of the River Murray could be harmful to marine life in the Southern Ocean. Up until now there has been almost no research into the effect of the river’s flow on the ocean beyond its mouth. In contrast, changes in flow and how it affects the river’s own ecology and the economy which depends on it, have been widely studied. The research, published in the journal Marine and Freshwater Research, analysed satellite images over 15 years to determine the amount of phytoplankton (microscopic plants that float in the sea) outside the Murray Mouth during various flow conditions. “Marine life is being affected by the water leaving the river up to 60 km out to sea,” says lead author Hannah Auricht, PhD candidate from the School of Biological Sciences. “Populations of marine species such as mulloway fish (Argyrosomus japonicus) and Goolwa cockles (Donax deltoides) could be devastated by reduced flows, especially considering future climate change projections,” says Ms Auricht. “The research demonstrates that the river outflows are a stimulus for productivity in the sea, causing phytoplankton blooms up to 60 km from the coast, and that severe drought, for example from 2007 – 2010, can reduce flows to the point where this stimulation effect vanishes completely,” says Dr Luke Mosley, Senior Research Fellow at the School of Biological Sciences. 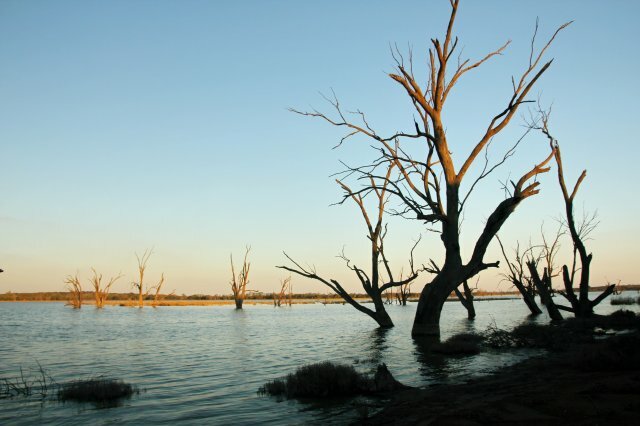 With increasing frequency and severity of droughts likely to occur in the future, the potential impact of reduced outflows from the River Murray should be considered as part of Murray-Darling Basin management plans. 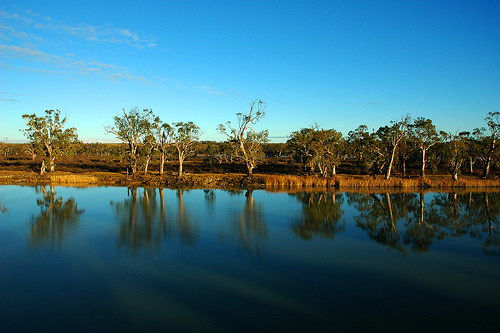 The results also highlight the importance of implementing the current Murray-Darling Basin plan which is recovering water for the environment. This entry was posted in Climate, Media Release, News and tagged Dr Luke Mosley, Hannah Auricht, marine health, Murray darling basin plan, River Murray. Bookmark the permalink.